I meant to say yesterday that the links in the post bring you to the different photo albums for each place! 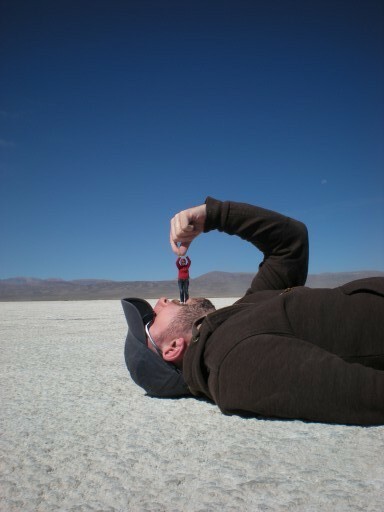 After the trip we took on Tuesday out to Antonio de los Cobres and the Salinas Grandes, we were shattered. So we spent yesterday lounging about the town with a repeat performance today. It’s a funny place. It is completely low rise and very spread out. It has about half a million residents so it’s pretty busy and seems to have a shop for almost everything. Being so far inland, the culinary interest focuses mostly on corn-based pastries and meats. Fruit and vegetables are not common and fish almost non-existent. Anyway! Being the capital of the province, they have a few museums, one of which is of considerable importance, the MAAM. In the ’90s, three child sacrifices were discovered at the top of a local extinct volcano. Given the low temperatures and low humidity, they are perfectly preserved and are on display in this museum. They are accompanied by samples of the troves they were sacrificed with – small pots, beautiful figurines, combs made from cacti spines. It seems they were buried alive to appease the mountain gods. Pretty gruesome but fascinating at the same time. It is interesting in that it’s not a million miles away from the bog bodies we have at home. Anyway, today we were feeling pretty groggy from the altitude and the most we managed was to book a trip to Cafayate tomorrow and a restaurant for tonight. Alb went off to take photos so I nipped back to the yarn shop I sourced through Ravelry. 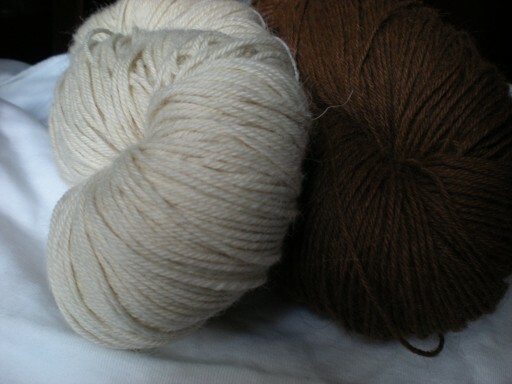 I picked up some alpaca. The skeins are pretty gigantic. I will probably be able to get a cardigan out of them and am already thinking of Paulie. It’d be nice, right? The browsing experience was less than fun, though. Everything is behind the counter and although the staff are helpful and patient with the pointing, I just wanted to leave after five minutes. I went back to where we were meeting up but Alb wasn’t back yet so I popped into a fabric shop we have been walking past all week. It was very big and was clear that they were the main fabric shop for the province. They had something of everything but since we’re coming into summer here, it was all cottons and voiles and no wools at all. 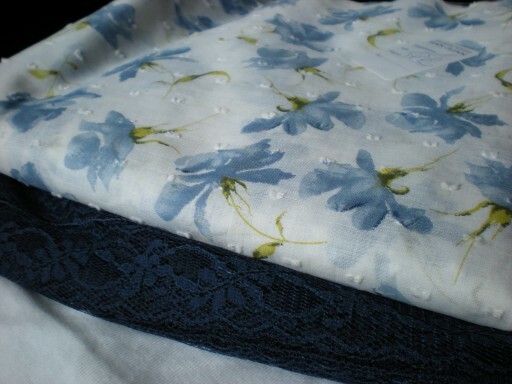 Still, I picked up 1.5m of this cotton batiste (on the top) and 1m of navy lace (on the bottom) for about e12. I’m thinking about a dress for the cotton and probably using the lace as a layer over satin for a top. Tour tomorrow then that bus trip to Buenos Aires over Saturday/Sunday so talk to you next week! Hope you all have a good weekend and happy knitting!